Rolly has grown up with an interest in reptiles – coming home from school one day to show his dad what he had caught down by the creek; Dad wasn’t too happy when he saw an Eastern Brown snake come out of his school bag! And it grew from there….into becoming an avid reptile breeder and snake catcher. 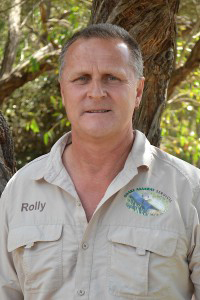 Over his life Rolly has kept a variety of reptiles; snakes both venomous and non-venomous; Birds of Prey; Mammals; Crocodiles and even has emu’s running around his country retreat. 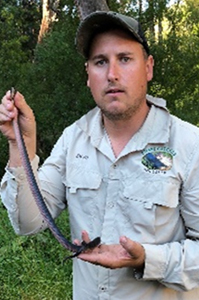 Today Rolly runs Snake Catchers Adelaide formally Snake Aaaaway Services – an efficient snake and fauna removal service in Adelaide’s southern region. Rolly, an experienced herpetologist, was the first person to breed Austrelaps labialis- Mount Lofty Pygmy Copperhead in captivity. Also, the founder of a new sub-species of Strophurus intermedius-Squamata: Gekkonidae, common name Southern Spiny-tailed Geckos, namely S. Intermedius burrelli. He has documents published in the HERPTOFAUNA Journal; Implanted microchips in Murray Darling Carpet Pythons along The River Murray System in South Australia; Committee Member and Treasurer for WEASA; Held public displays of reptiles at SA Reptile Park at Noarlunga, South Australia; Worked at many Flora & Fauna Parks; Gathered information on Cryptosporidiosis in wild reptile populations and Artificial insemination and taxonomic differences among Morelia species for SA Reptile Park & Research Centre and more. 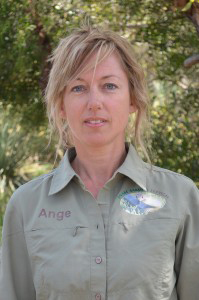 After being with Snake Catchers Adelaide for 6 years Ange has learnt and loved all areas of the snake business. Her first encounter with a snake was a Tiger snake in Tasmania’s mid south, stopping for lunch at a picnic spot just off the highway Ange heads straight to the creek to look for tadpoles little does she know she is a metre away face to face with a Tiger snake who was engulfing a frog. She wasn’t fazed by the incident – but her dad sure was! Ange grew up in Tasmania with fond memories of swimming in the crystal clear waters of The Franklin River while the family was listening to Bob Brown speak about conservation. Quite often you will find Ange rescuing injured animals from the road side, birds are a common site often being hit by cars and removing reptiles so they don’t become a statistic. Her back yard is a fun place with birds, rabbits; hopping mice; dogs; snakes and the Emu’s who like to share a BBQ with friends and watch the kids jump on the trampoline. Bearded Dragons are where the interest for reptiles began with Steve from the tender age of 4. 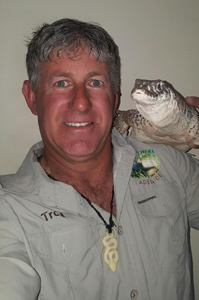 Ever since then his passion has grown into keeping a large variety of species, including …Pogona Vitticeps – red, orange & yellow phase; Cunninghams Skinks; Eastern Water Dragons; Northern Territory Blackheads; Diamond Pythons; Eastern and Chappell island Tiger snakes; Red Bellied Black snakes and Death Adders both Southern and Barkley Table Land – too name but a few. Steve also has a love for plants – especially the Palms, Bamboo and Bromeliads – his backyard is a paradise to say the least. In between jobs he likes to visit the local nurseries in the area to see what he can add to his oasis. Steve is an asset to Snake Aaaaway and has been for a decade, he is a handsome friendly guy and is ever so prompt – have a snake in your backyard? – He’ll be there in a flash! 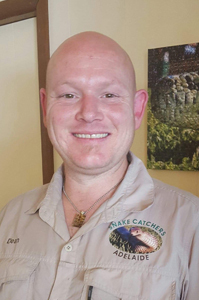 After growing up watching wildlife programs on the TV such as the crocodile hunter, Cory has always wanted to work with wildlife. 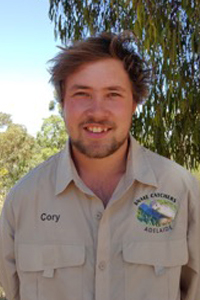 After finishing high school Cory worked on a native fish farm in Darwin, which included being a volunteer for field work collecting fish and endangered plants for the CSRIO. 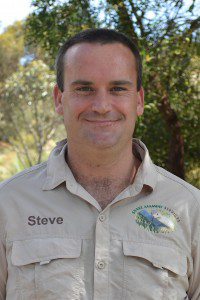 From this he did more volunteer work with Kakadu National Park monitoring the nesting sites of the Marine turtle species the Flatback turtle. While Cory isn’t catching snakes in the summer he works for Nature Glenelg trust, doing native freshwater fish surveys in the Adelaide Hills, Murray Crayfish surveys in northern Victoria and being involved in the captive breeding programs of the endangered Southern Purple spotted Gudgeons and Yarra Pygmy Perch. After being Brought up in a family of animal lovers it is no surprise that Monique has always wanted to work with animals. Since a very young age she dreamt of becoming a veterinarian, owning a pet shop that would specialise in many different animals and even having her own animal shelter. She has had various different pets growing up such as a kangaroo, wombat, crocodile, goat, peacock, stick insects, bird eating spiders, scorpions, many different kinds of reptiles. She finds working for Snake Catchers Adelaide very exciting and very rewarding. She loves the outdoors, meeting new people every day, educating them on our wildlife and of course the catching and releasing of snakes. Being outdoors is where its at for me, wether its hunting feral pests somewhere in remote south Australia , fishing or camping with family and friends I am happy! Ive always had an interest in reptiles from a young age having lizards and turtles as pets but after completing a snake handling and awareness course held by Rolly and Ange for work my interest in Reptiles was kicked off again and I wanted more. Currently working the FIFO lifestyle in Central Australia I have found myself helping out the Snake Catchers Adelaide Team for the last 2 years in my rostered time off. Since then have caught various species of snakes and lizards and have also been involved in the trapping feral animals, another service snake catchers Adelaide offer. My love for snakes and reptiles grew from a book that my parents gave to me when I was a young boy called Australia’s Dangerous Creatures. But what really solidified it was a family trip to Singapore when I was 8 years old. There were some men holding black snakes in a temple that we visited, and I knew then that I would one day work with these beautiful creatures. The next day we went to the Singapore Zoo and I seized the opportunity to hold and have my photo taken with a massive Boa Constrictor, little did my mum know just what she was letting herself in for! Since 2004 I have kept snakes and reptiles of all sorts, venomous and non-venomous, and worked as a spotter/catcher in the Cooper Basin region of SA working along side the oil and gas pipeline crews, improved and honed my skills as keeper and catcher through training with a number of skilled educators and now in 2018 I have the pleasure of catching and relocating reptiles and now being an educator myself for Snake Catchers Adelaide, I love my position and take it very seriously but also have a lot of fun along the way and I love nothing more than having the chance to share my knowledge and understanding of these beautiful animals with others so that they have the chance to respect and admire them as much as I do. 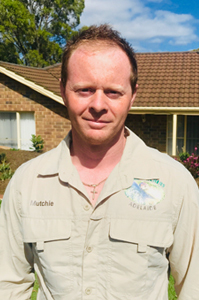 Mutchie is our newest member to Snake Catchers Adelaide but has had a long passion & interest in wildlife & the Outdoors, it all started in 2003 on his first visit to Australia Zoo where he got to meet Steve Irwin & started following Steve’s passion for wildlife, After meeting Steve Mutchie has always had an interest in wildlife but became most attached to reptiles. Having just completed High School Mutchie became a Firefighter for Santos in Moomba (Cooper Basin) being in the middle of Australia there are all types wildlife to be found out there from wild Dingo’s to Eastern Browns, Woma Pythons & Goannas. Goannas became Mutchie’s favourite reptile, he enjoyed tracking and observing them in their natural environment. Mutchie is now an Aviation Firefighter in Adelaide and commits his spare time to catching reptiles for Snake Catchers Adelaide. Outside of working Mutchie enjoys spending time with his two cute son’s and amazing wife going camping, fishing and 4Wdrving. Amelia was working in retail when she was told there was a snake seen slithering up under her car whilst it was parked in a shopping centre carpark. Snake Catchers Adelaide was called and Cory arrived at the scene to help out with the situation, little did they know at that time they would become future partners and share their passion of catching snakes together. Amelia started attending on some of Cory’s snake call outs and that’s how she came around to thinking this looks like a lot of fun and wanted in on the action! Years later Amelia is now a competent catcher and has lots of fun out there catching snakes too like Cory and the rest of the team. 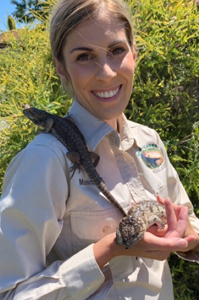 Shana has always had an affinity for reptiles and even as a small child she was quite happy to carry around the lizards she found in her back yard or any adventure she went on, growing up in the far northern suburbs of Adelaide there was always plenty of different species to see. 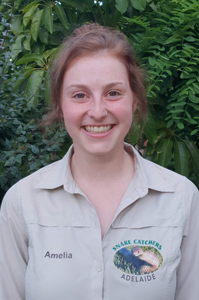 She loves the work she does with Snake Catchers Adelaide as it gives her the opportunity to help people get over their fear of snakes and hopefully see the benefits of the part they play in keeping the environment healthy. 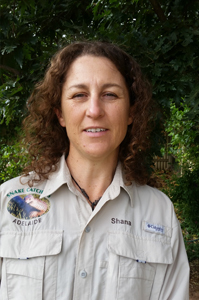 Shana has done a certificate III in captive animals and has been doing work for some privately owned sanctuaries where she has learnt a lot about our native Australian animals and the conservation efforts being made to help the survival of some of our endangered species. Shana has made a huge pond in her back garden so she could give a happy home to the many abandoned turtles that people have lost interest in over the years. Troy grew up on a farm at Ceduna a beautiful coastal town on the far west coast of South Australia. His father had a rescue permit for native wildlife so he has forever been around and taking care of all types of animals, he even had a pelican in his backyard for several months. He spent most of his younger years chasing little mallee dragons, bearded dragons or anything reptilian really. The first ever reptile that he bought was a turtle and now owns different aray of reptiles, but his little (or not so little) baby is ‘Storm’ his Spencer’s Monitor, Storm is 11 years old and 1.4 metres long and he accompanies Troy on various outings and many a holiday trip over to his parents house in Tumby Bay, there’s not too many places Storm doesn’t go. Troy’s husbandry skills and level of passion with venomous snakes is second to none, he thoroughly enjoys being around the venomous type!